Before making her debut in Canada’s fashion industry, Zaneta was the successful founder and co-owner of FABOL, a personal shopping, styling and promotion company in Prague, Czech Republic. She is a well-respected fashion guru with over 15 years of professional experience in fashion/wardrobe styling & fashion direction. Her work ranges from the coordination of fashion shows both internationally and locally, television appearances, editorials and facilitating fashion seminars, make-overs or one-on-one image styling. Zaneta has worked as a stylist for celebrities and models and uses her own blend of finesse and sophistication to create the right look for each of her clients. 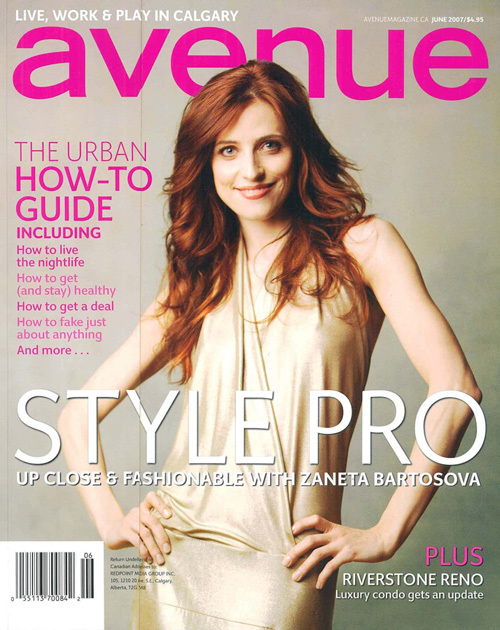 In partnership with Mode Models and Mode Models Calgary, Zaneta works with a variety of commercial as well as personal clients including: CTV, Citytv, Global, Oxford Properties, 20 VIC, The Bay, Sears, Avenue Magazine, EnRoute Magazine, Calgary Herald, EGO, Calgary Sun, Veer, Calgary Woman's Show, Penny Lane Entertainment, BOMA, Market Mall, Artrageous, Time Magazine, Vancouver Magazine, Canadian Business Magazine and Best Life Magazine.